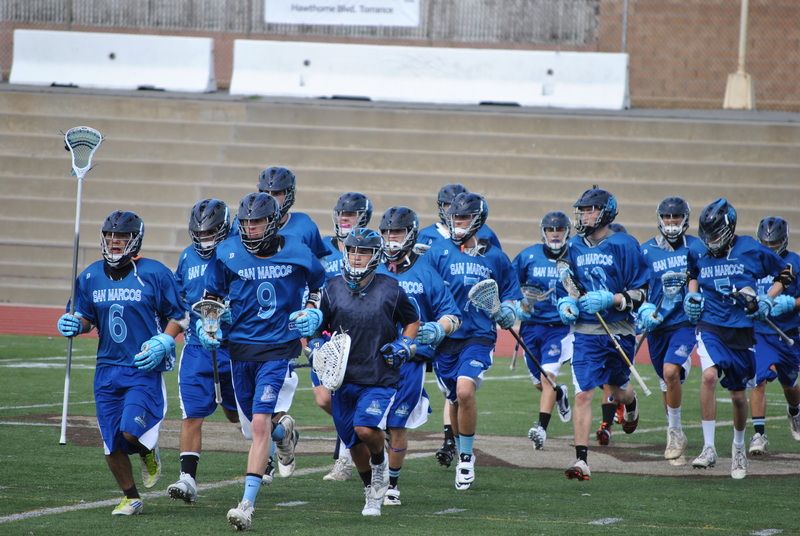 2013 Season and Home Opener! 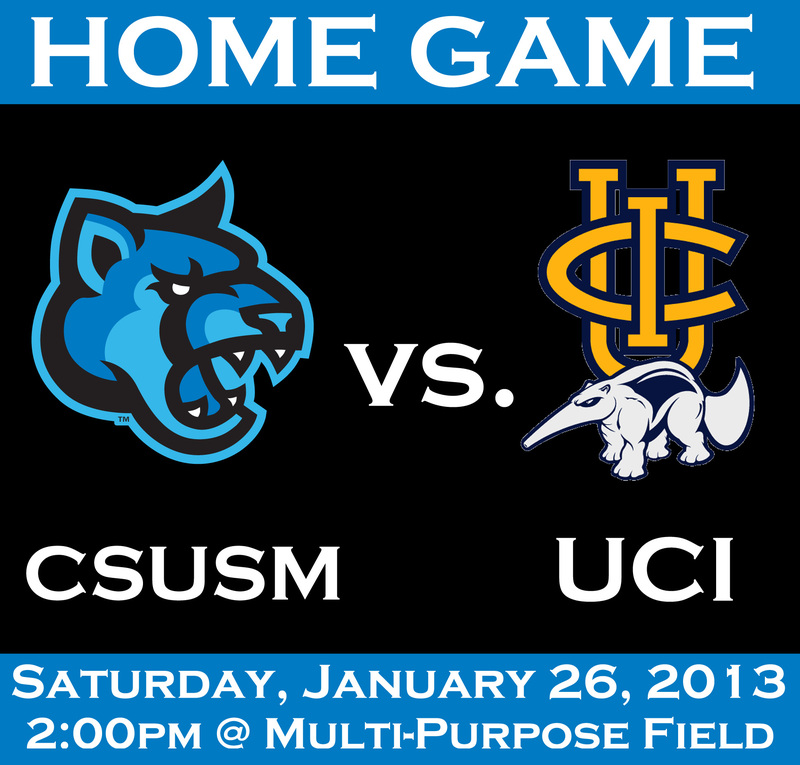 Our first game is coming up on Saturday, January 26, against UC Irvine. 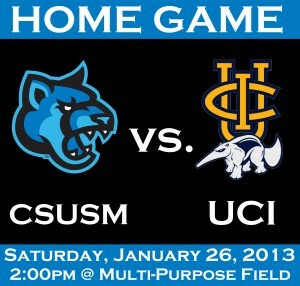 The game is at 2:00pm on the Multi-Purpose Field at CSUSM. We will be having some food, drinks and music before the game so we hope to see everyone out there. Go Cougars!